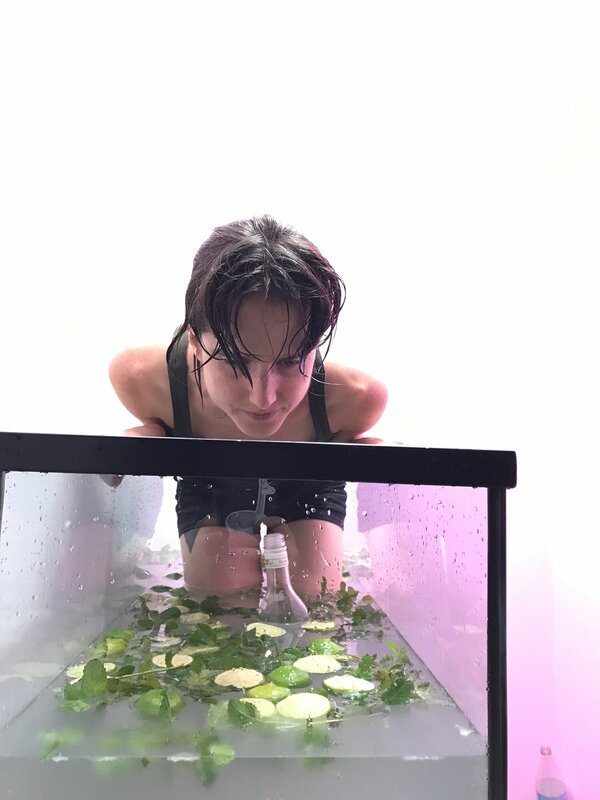 "On Monday, August 7th, Lara Salmon will present Havana Intoxication, a durational performance featuring a forty gallon Mojito made with Havana Club Rum sourced via a recent direct flight from Havana to LAX, and mint taken from MOCA Los Angeles. 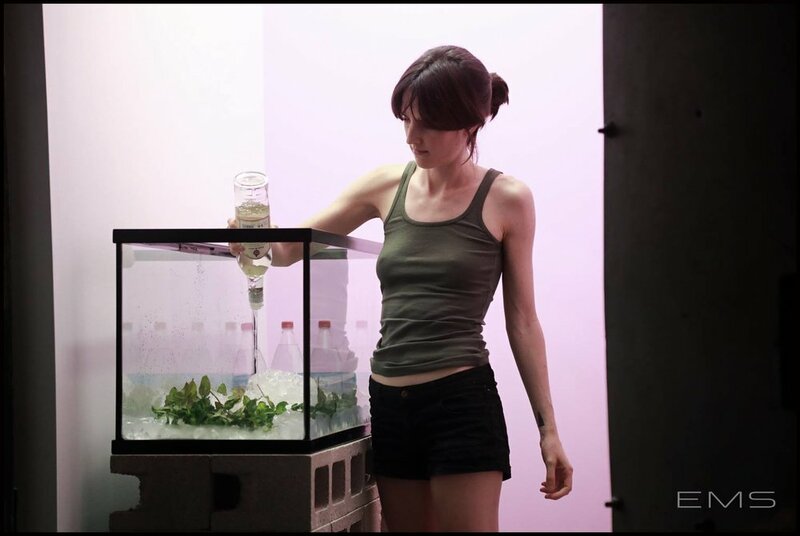 Inspired by an illegal trip to the Caribbean socialist state in 2014, Salmon questions her role as an American traveling abroad and the history of Cuban-American cultural exchange throughout evolving international relations." For this piece I made and submerged myself in a supersize Mojito. The ingredients were sourced with specificity: rum from Havana, Cuba and mint that I picked outside of The Geffen MOCA Los Angeles. From within the tank I continuously drank my Mojito. The audience was invited to dip their cups in, indulging with me. Through shared intoxication we created a metaphor for America's historic and present actions in Cuba. Havana Intoxication was performed as part of the LUNAR PERFORMANCE series at Elevator Mondays, curated by Don Edler. Photographs from Eric Minh Swenson, Ali Kheradyar and MP Knowlton.